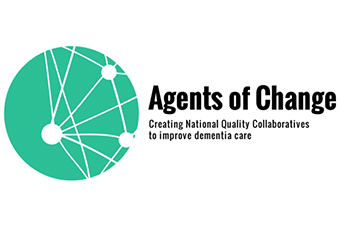 Become an Agent of Change! Join an online Collaborative with other professionals and be supported to develop your own action plan to improve access to either occupational therapy, exercise, or carer support (professionals can choose one of these). The project is designed to be ‘light touch’ and to give clinicians the autonomy to make changes that are sustainable for them. 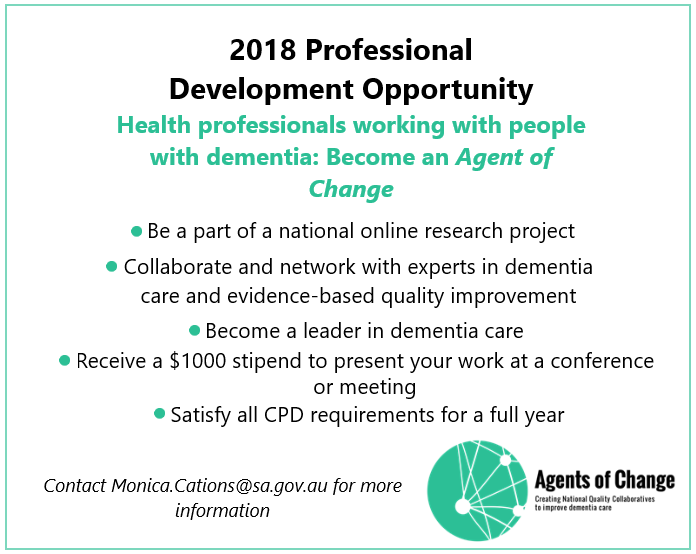 Participating will fulfill a year’s worth of CPD requirements for almost all professions (we can help clinicians to confirm this with their professional body) and clinicians will receive a $1000 stipend to present their work at a conference or meeting of their choice. Professionals can work anywhere in Australia as the program is all online.